With 2018 now ending, it’s time to look ahead for the 3D printing outlook for 2019. Read on to learn more. With 3D printing’s evolution in 2018, it is believed that 2019 will be an even more exciting year for this developing sector. Companies in the space are exploring new frontiers, as noted in our 3D printing trends article, and various industries are making use of 3D printing, from healthcare to manufacturing. As more companies get involved in the sector, 3D printing is truly on its way to becoming the fourth industrial revolution. 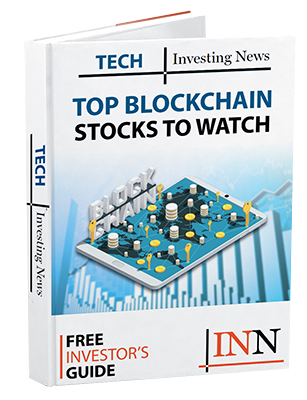 On that note, here the Investing News Network (INN) is taking a look at the 3D printing outlook for 2019, with insight and commentary from industry experts. In an email statement to INN, a spokesperson for Essentium said that it’s an intriguing time for the 3D printing industry because more companies look set to join the space. According to an April report from Market Research Engine, the industrial 3D printing market is set to cross US$7 billion and grow at a compound annual growth rate of 27 percent between 2017 and 2024. The firm suggests that the major growth factors for industrial 3D printing will be advancement in technologies, an increase in awareness and an increase in industrial 3D printing enthusiasts. Meanwhile, in a blog post, Materialise (NASDAQ:MTLS) highlights numerous trends for the sector in 2019, including governments getting involved in the sector. Bram Smits, public policy officer at Materialise, said that 3D printing is already a focal point on a government level, and that interest will increase “significantly” in 2019. However, he noted that the rise in discussions also implies that the technology is no longer in the nascent stages. Smits highlighted that the main concerns for policy will be the regulation of intellectual property, with the underlying concern being the “change in business models” from a physical object to a digital file. With more companies set to enter the sector to drive its growth forward, governments could be forced to increase discussions on regulating the space to avoid potential showdowns among companies. The Essentium spokesperson said those interested in the sector should look at firms that understand industrial manufacturing and have manufacturing experience, as this will be key in 2019 and beyond. “The companies that are built on consumer-grade materials and machines will have a harder time transitioning into manufacturing,” the spokesperson said. While Essentium stressed industrial manufacturing, Materialise took a step ahead and stated that applications are crucial for the sector rather than technology. In the blog post, Fried Vancraen, CEO of Materialise, said that the industry is shifting its focus to identifying the right applications for 3D printing instead of developing new technologies. “Investments are not going to machine manufacturers anymore but to companies and start-ups that apply 3D printing to create real added value in specific domains,” Vancraen said. 3D printing has been used across numerous industries, and notably has been used to manufacture an electric bike and to replace the skull of a dog suffering from cancer. The technology has certainly evolved, and Materialise says the intention is to expand the horizons of 3D printing to new industries. “Creation and stimulation of user demand is really going to accelerate 3D printing further,” he noted. However, Materialise does admit that any company adopting 3D printing tech will face hiccups in the move from conventional manufacturing to additive manufacturing. Materialise believes that engineers and designers will have to embrace new ideologies with regards to additive manufacturing designing. According to Materialise, a designer who understands what works for metal casting may not know what works for metal 3D printing. The arrival of HP’s (NYSE:HPQ) metal 3D printing was termed the biggest news story of the sector in 2018 by Pete Basiliere, research vice president for additive manufacturing at Gartner, and it was also a key trend for Materialise in its 2018 preview. “HP is not the first to market … nor likely to be the last,” Basiliere told INN in an email statement. However, with more companies expected to join the space, Materialise is already looking at the next major component of 3D printing for 2019. The company says that plastic materials for 3D printing have been preparing for “substantial growth” in 2019 and beyond, thanks to manufacturers. Giovanni Vleminckx, materials expert at Materialise, said in the blog post that new materials could hit 3D printing production in the near future. Further, the company said that the sector’s growth in adapting to new materials will aid industries like aerospace and automotive, which depend on specific materials and properties. “Industries will be able to choose the materials that best serve their applications, whether it’s for functional prototypes or series manufacturing,” the firm noted. International Data states in a report from August that global spending on 3D printing will reach US$23 billion in 2022, growing at a compound annual growth rate of 18.4 percent over the forecast period. The firm expects that worldwide spending on 3D printing, including hardware, materials, software and services, will exceed US$14 billion in 2019, translating to a 23.2-percent increase over 2018. Specifically, the research firm notes that 3D printing solutions are gaining traction outside of traditional places like the automotive and aerospace industries. “Professional services and retail will each see more than $1 billion dollars in annual spending before the end of the forecast period, driven by the benefits of fully customized solutions,” Marianne Daquila, research manager at International Data, says in the report. With more companies set to be involved in the space and with more materials available to users, the sector could be set to reach new heights in 2019 and beyond. It is also worth noting that spending in this sector is seen hitting new levels in 2022, signaling ample growth moving forward for companies and perhaps investors.